Stability and predictability are two of the hallmarks of a fair tax system. As a result, we support the continuation of existing credits, deductions, and exemptions that have been depended upon by taxpayers as a component of our overall tax structure. Changes to these provisions are appropriate only in the context of updates, technical corrections, or as part of a broad review or tax reform effort. 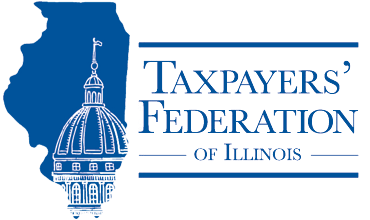 The Taxpayers’ Federation of Illinois supports efforts to incentivize investment and job creation in Illinois, including efforts to do so through our tax code, if the provisions are narrowly tailored to benefit only the intended beneficiaries and have the proper financial controls in place. All states have deployed these methods in this very competitive environment for economic growth and Illinois should as well, particularly when Illinois’ overall business climate is perceived negatively. The effectiveness of these provisions can and should be reviewed from time to time through a careful and thorough evaluation. In 1994, Illinois adopted what are commonly referred to as the “automatic sunset laws.” Under these laws, any new sales or income tax exemption, deduction, or tax credit automatically expires after five years unless it is exempted or has a reasonable sunset date of its own. There is no requirement for any evaluation of the provisions’ effectiveness, and the sunset laws apply to all provisions, even those designed to prevent tax pyramiding or accomplish similar tax policy goals. These automatic sunset provisions do little more than create instability and uncertainty, and should be repealed.